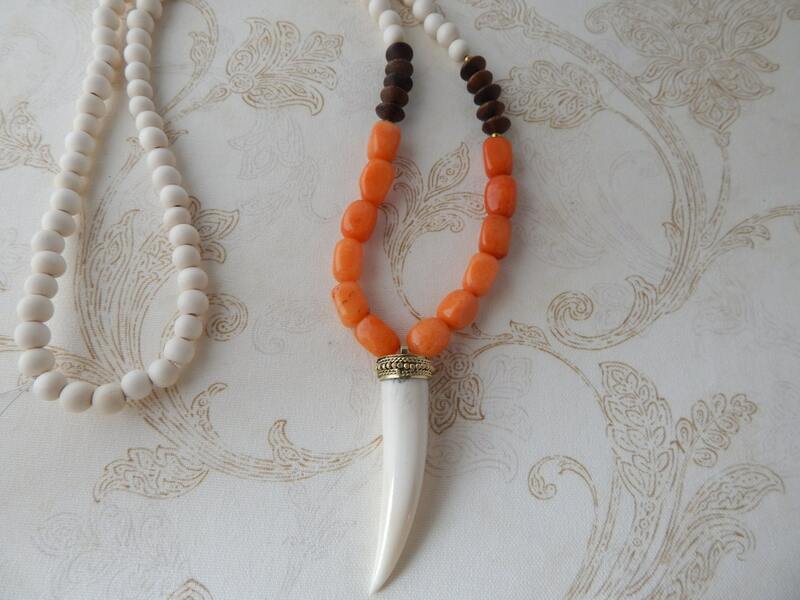 Orange jade nugget beads accented with wood beads hold a white horn tusk pendant. 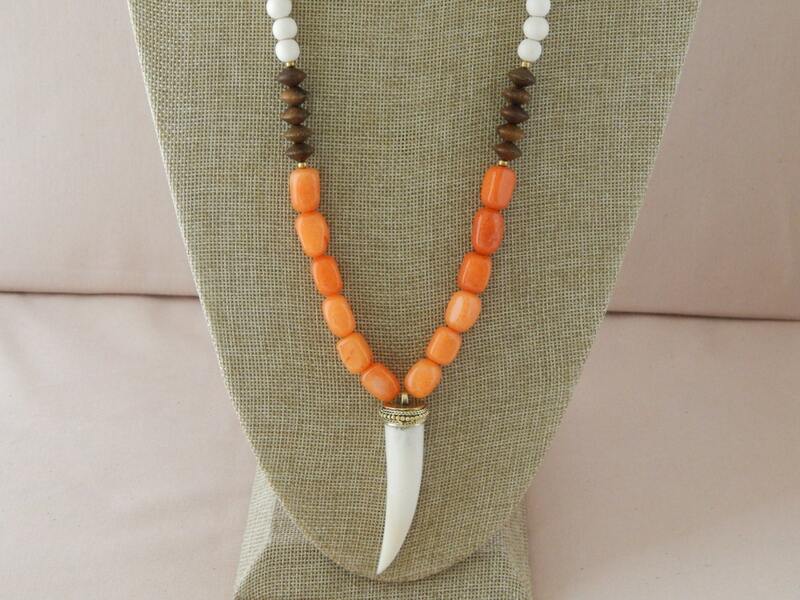 The colors of this necklace make it the perfect spring/summer piece that can be worn with anything and easily layers with other necklaces from my shop. Adds a gorgeous pop of color to any outfit. 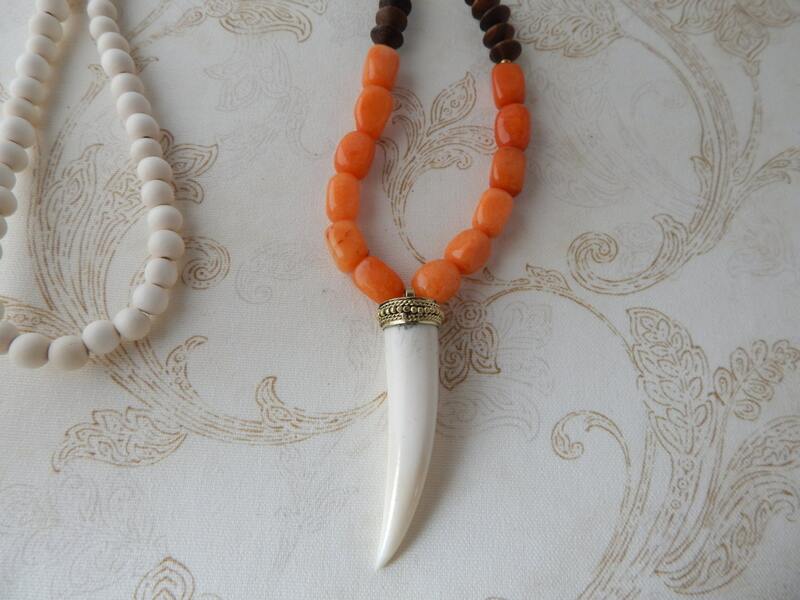 Necklace measures 34 inches beads are 8x6mm. 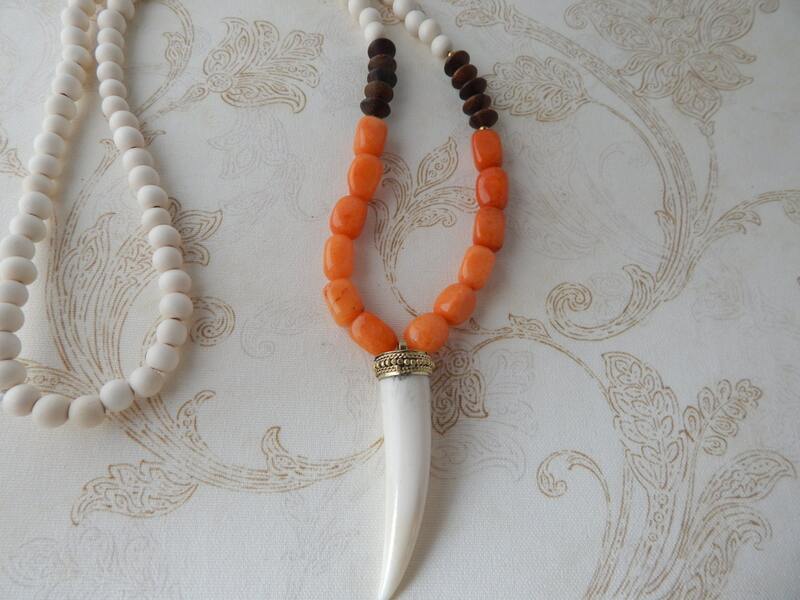 Tusk size is 2 inches and is finished with 8mm white wood beads. No clasp just slips over the head.